I dream of having the skills and creative juice to be a professional photographer. I think people who can take beautiful pictures and edit them to make them even more fantastic are geniuses. 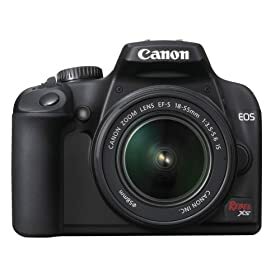 Today only, Amazon has the Canon Rebel XS 10.1MP Digital SLR Camera for just $409 with FREE 2-day shipping with Amazon Prime. This is almost 40% off the regular retail price. Wow! Crazy – my husband found this deal somehow (aside from FL) and we had an emergency budget committee meeting (for all you FPU fans) and we decided to blow the christmas budget and purchase it. He has been shopping for months and says its the best deal he has seen! And we should get it by tomorrow! Amazing deal! I did…Funny how we paid the same amount for my point-and-shoot plus $100 for a memory card five years ago.